To ensure that students have clearly articulated expectations and guidelines for assignments given in class, here is a list of rubrics that will be employed for grading. The intention for these rubrics are alleviate the common questions of "why did I get a ______ on this assignment?" or "what does it mean when I get a ______?" or "what can I do to raise my grade?". 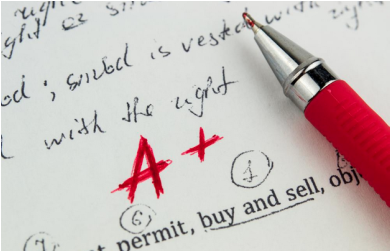 Furthermore, it is expected that students will refer to these rubrics BEFORE having a conversation with the instructor regarding the grading of an assignment. These rubrics align with the classroom, department, and school-wide grading policies; therefore it should be clear what is expected to receive a 4, 3, 2, or 1 in this class.